So this is the first time the boys and Mike and I actually have had a Thanksgiving meal alone together. Usually we are traveling to his folks or my folks. But this year, we were surprised by a huge snowfall on Thanksgiving morning. What a lovely way to start the day, with the quiet beauty of a snowfall. It was one of those snows where it came down in big beautiful flakes and if you sat and watch it long enough, it could mesmerize you. Until your kids scramble out of bed, that is, and want to play in the snow—which is exactly what my noisy, healthy messy boys did. But this snow, as beautiful and fun as it was, came at exactly the wrong time. The roads we had to travel were complete covered and what road crew wanted to be out on Thanksgiving morning? So we decided to stay home and have an impromptu dinner with just the four of us. It wasn’t as grand as what we are used to but, we managed. And sitting together at the family table and giving thanks—that what it’s all about. Now it all about Christmas and Hanukkah. If you need some idea for crafty Christmas presents, some I know has a great Pinterest board with a lot of ideas. Click here to see what I mean. I've been helping out with a Hanukkah scrapbooking board--check it out. 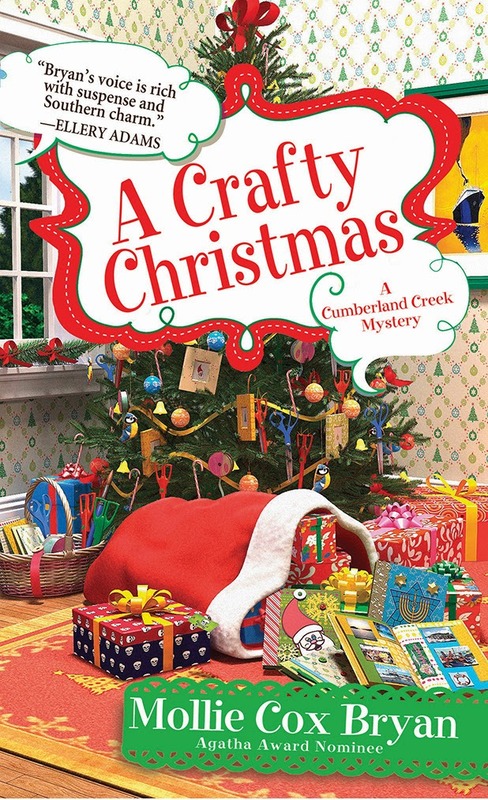 ***Enter Mollie's contest: review A CRAFTY CHRISTMAS on Amazon, B & N, or Goodreads and enter to win a chance to have a Cumberland Creek character named after you--goes until the end of December. You're so right! It's time to start holiday crafts!